Composed by Bob Good. Contemporary Classical, Musicals, Repertoire, Recital. Score, Set of Parts. 6 pages. 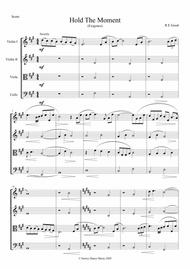 Published by Surrey Dance Music (S0.432225). 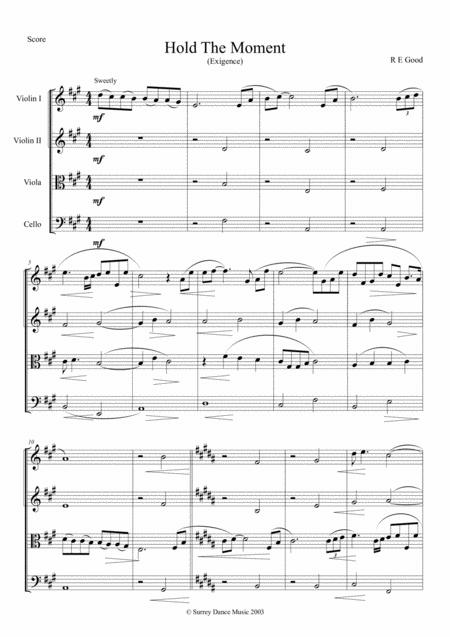 Arrangement for String Quartet of a section of ﻿the song "Hold The Moment" (from the musical "Silver's Ghost"). Short (1½ minutes long) but breathtakingly ﻿beautiful.